What is a beginner walking program? Many people underestimate the value of a vigorous walk geared toward increasing your fitness level. Walking can be an amazing workout. Our beginning program is designed to provide a safe, encouraging, and challenging way to increase your fitness level using the low-impact sport of walking. We train in a group setting, and our expert coaches and supportive mentors guide your every step. We provide instruction on proper hydration, nutrition, and stretching techniques that help you get the most out of your workout. Most importantly, we help you achieve your fitness goals by using good form walking techniques and a consistent workout routine. Is the WalkFIT beginner program right for me? Everyone has a goal, unique to their life and personality. Many people join our WalkFIT program to achieve their goals related to health and wellness. Some of our participants want to lose weight and get fit. Others, with approval from their doctor, want to recover from an illness or surgery. Some join because running is just not for them but they want help doing a workout routine that helps them prepare for a 5K. Regardless of the goal, our participants enjoy the coaching, mentoring, and group setting that helps you stay motivated and on course. If you are looking to improve your health & wellbeing, lose weight, get fit, or cross the finish line of your first 5K, then WalkFIT is for you. 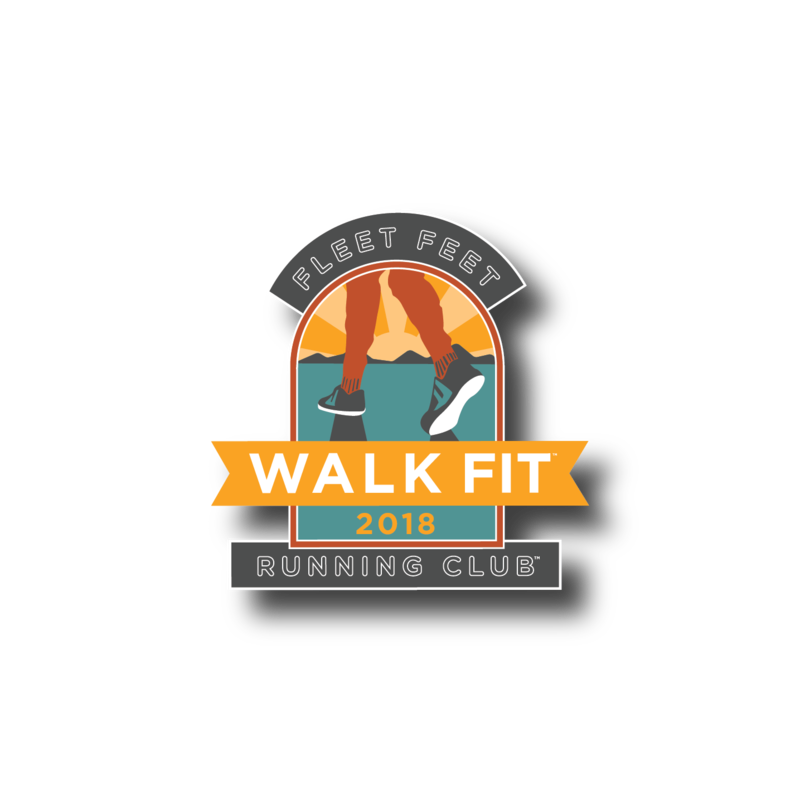 Everyone who completes this program (attends 75% of the group workouts) will earn a special Fleet Feet Running Club Walk Fit patch (see below)! We are excited for all the fun 2018 will bring us! Info sessions including but not limited to foam rolling, nutrition, etc. Description: Let us help you get started! We know that not everyone is interested in running, that is why we are happy to offer you Walk FIT at Fleet Feet Sports.